Mercure Castres L'Occitan boasts 62 unique modern rooms with air conditioning, offering enhanced comfort. Most rooms overlook the tree-lined park of the hotel. Relax on the terrace, take advantage of the fitness room and wellness center or the heated swim ming pool in good weather. The L'Occitan restaurant serves refined cuisine using fresh seasonal produce. Enjoy the warm and friendly atmosphere in the lounge areas and bar. 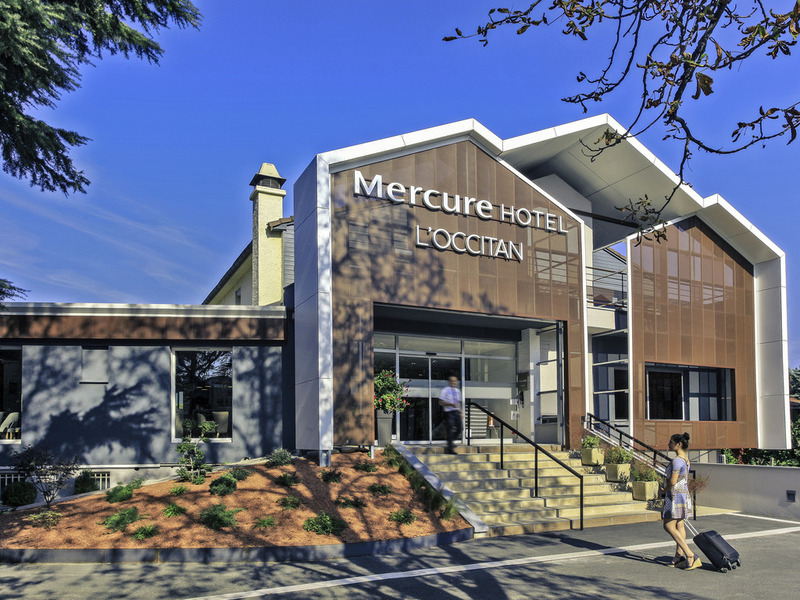 Located in Castres, in the heart of the vast region of Occitanie, the Mercure Castres L'Occitan is set in a charming, quiet town - the perfect base from which to explore Tarn, Albi, Carcassonne, Toulouse and all that this bountiful region has to offer. Located in Castres, in the heart of the Golden Triangle formed by Albi, Toulouse and Carcassonne. Air-conditioned hotel with a private car park, meeting facilities, a fitness center, swimming pool, restaurant, bar and room service. Recently renovated, air-conditioned rooms with satellite HD TV, a safe, Internet, mini fridge and tea and coffee making facilities. Bathrooms are fitted with a bathtub or shower and a hair dryer. L'OCCITAN offers seasonal French cuisine showcasing regional produce. The restaurant also has a lovely poolside terrace open in good weather. Come and unwind in the L'OCCITAN lounge with a drink or cocktail of your choice. Enjoy the calming setting and relax with family, friends or colleagues.